Jools Abel – The Nowt Poncy Food Company Ltd.
Lo-Dough is another amazing Northern brand (Rochdale) who have created a game changing, low calorie bread alternative for the slimming and fitness world, and it has been going down a storm all over the country. Lo-Dough is brilliantly versatile; it’s a pizza base, it’s a flatbread, a wrap, a cake mix, a chapati, the list is endless. 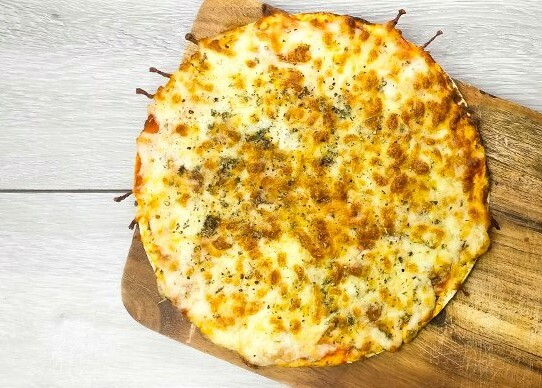 Low calorie pizza recipes from Lo-Dough have been changing the world of healthy eating. The BEST thing though is that they LOVE LOVE LOVE our Nowt Poncy Lamore É Pizza sauce and they have chosen us as their preferred supplier. They took their pizza base and our pizza sauce on the road recently to Be:Fit in that thar London Town and the pizza went down a storm. Even Reebok Fitness loved our products which just goes to show amazing tasty and versatile, super quick food does not need to be full of salt, sugar, calories or carbs. What was really fab to hear was the ultimate test when both products were eaten without anything added and there was no where to hide. If you have a poor or tasteless product then this is when your target consumer will realise you are trying to con them. Not our products though. People LOVED them and with only 6 ingredients in our NP sauce and no nasty preservatives or additives what you are tasting is the high quality of the ingredients, the cooking in small batches and the care and attention to detail.